Australia certainly lags behind the likes of the US, the UK, Japan and China, but that is starting to change after several key developments in esports over the past year. Dota 2 team OG pulled off one of the greatest Cinderella stories in esports history when they surged to victory at The International 2018. Nobody gave them a chance of winning the richest esports tournament of all time after they lost three key stars in the build-up. Yet they defied the odds, vanquished all their rivals and lifted the famous trophy, and an Australian star was in the thick of the action. Melbourne native Anathan “ana” Pham was one of three newcomers drafted in on the eve of the tournament and he delivered a string of masterful performances to inspire his team to glory. In doing so, ana became the 11th highest earning esports player of all time. He has now picked up a cool US$2.85 million ($4 million) in prize money throughout his career, and the bulk of it came from winning The International. The team shared the top prize of $11.2 million ($15.6 million) and ana was well compensated as a result of his integral role in their success. It shows just how lucrative a pursuit playing video games can become, and ana’s success should help esports’ popularity grow across Australia. South Korea, China, the US, Germany, Sweden, the UK and Japan are the biggest markets for esports around the world, and Australia certainly lags behind. But that is starting to change after several key developments over the past year. In 2018, the country’s first dedicated esports arena opened in Sydney’s Moore Park. Gfinity Esports Australia and the Hoyts cinema chain launched a partnership to roll these arenas out at existing cinema locations across the nation, and Sydney Cricket Ground opened the first ever dedicated esports high performance centre after tying up a deal with the University of Technology in Sydney. “It will be a game changer to have Australia’s leading Esports professionals in a dedicated high performance centre in the same precinct as the best athletes and officials from the SCG and Allianz Stadium’s traditional sports,” said Jamie Barkley, chief executive of the Sydney Cricket and Sports Ground Trust, at the time. The facility now serves as the home of the LG Dire Wolves, the champions of the League of Legends Oceania competition, plus female development team Supa-Stella. LG Dire Wolves owner David Harris said it would help Australia close the gap on some of the world’s leading regions in the burgeoning esports scene. You can now watch Rocket League on Network 10, which is a big development, and improved connectivity and Broadband speed has helped millions stream big tournaments. Nielsen’s sports and entertainment department claims that the number of esports fans in Australia has doubled over the past two years, while rival firm Gemba estimates that there are now 1.8 million esports fanatics here. 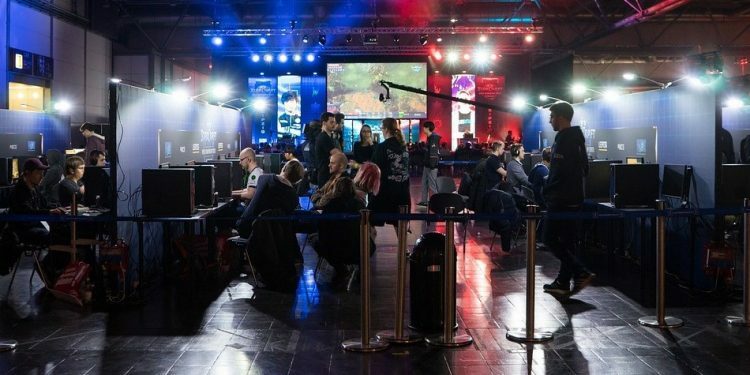 The industry faces challenges when it comes to cracking Australia, due to its geographical isolation from major esports regions and the legacy network infrastructure. That caused it to be slow in getting off the mark here, but it is now really catching on and we can expect considerable growth in the years ahead. Esports’ popularity is largely driven by younger generations that have grown up with video games and Internet connection. Across Australia, 98% of households with children have computer games and 65% of them have three or more consoles. First person shooters like CS:GO and multiplayer online battle arena games like Dota 2 and League of Legends are leading the esports charge and this simply was not possible before broadband and the rise of streaming services like Twitch. Now the sky is the limit and developers are launching fantastic new games all the time, bringing a level of dynamism that traditional sports cannot hope to match. To ramp up the excitement fans experience when watching it, they can also now bet on big matches and tournaments at sites such as Unikrn.com, and esports wagering is now a multibillion-dollar business. The growth of battle royale games like Fortnite and PUBG is driving further interest and helping esports reach greater numbers of viewers. It is now estimated that a third of Australians have either watched or participated in an esports event, and that is often enough to leave people hooked. Traditional sports teams know they cannot stop this juggernaut, so they are jumping aboard instead, as multiple AFL clubs have snapped up esports teams. Leading brands are investing heavily in the industry, with the likes of Hungry Jacks and St. George Bank joining global giants such as Coca-Cola and Intel in sponsoring events, while rappers and singers are also muscling in. The evolution of esports in Australia has been nothing short of remarkable over the past couple of years, and the opportunity for further growth is vast. The new generations relate to these gamers and treat them like superstars, so it seems as though it could overtake cricket, rugby and other traditional sports in the not too distant future.